Pushy parents spoiling a fun kids' run? It was supposed to be a fun run for toddlers and preschoolers. But somehow ambition took over on Saturday the 6th in Linze, Austria. 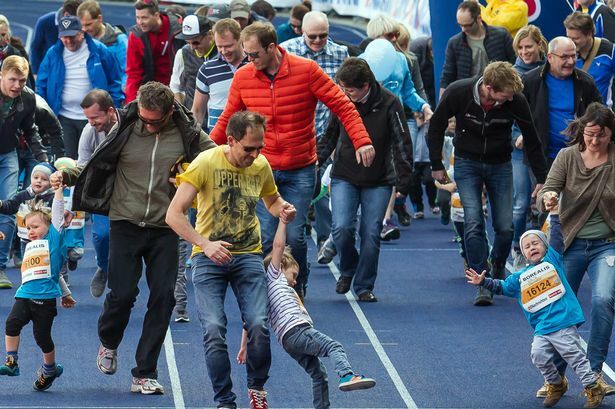 They wanted their kids to win so much, they actually dragged them across the finish line. Resulting in these sad pictures. I for one don't understand this kind of ambition. But since I don't have any ambition when it comes to running, except to run daily, maybe it's easy for me to say. But when I look at these kids' faces I don't think they're having fun. And at that age, shouldn't running be fun? How do you feel about these pushy parents? Can you relate?